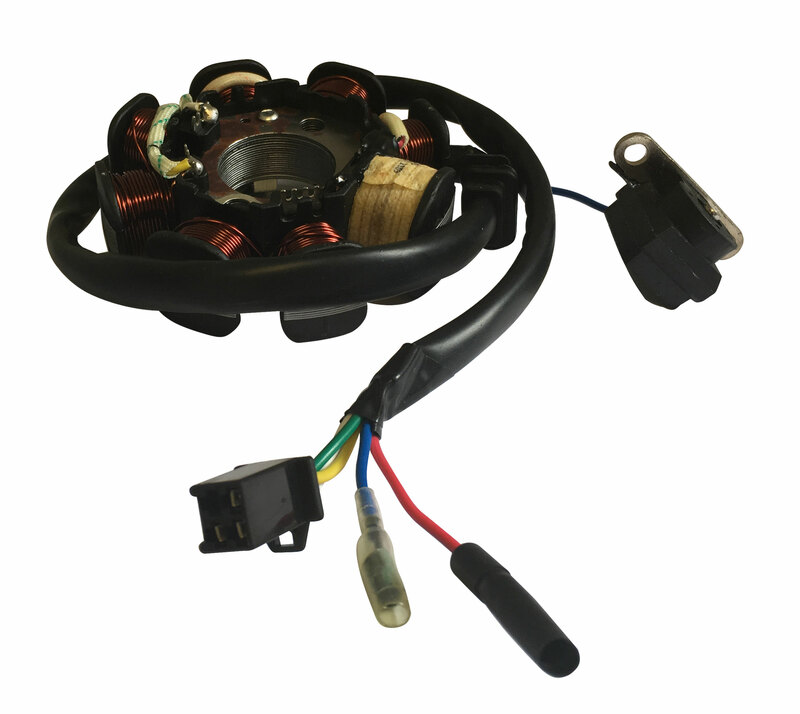 This eight-post 150cc stator is the newest and only Hammerhead Off-Road stator currently available. This stator replaces the six-post stator, but does NOT come with the flywheel. If you are replacing an older six-post stator you must replace the flywheel as well.